The Internet of Things (IoT) is a growing industry making itself felt across manufacturing, healthcare, education, business and consumer products like smart homes and wearables. With the rise of IoT so prevalent, however, there is an increasing need for engineers and organizations to keep up with new and developing IoT trends and the ways the technology can be integrated into or affect a business. Challenges can range from technology architecture choices through digital security concerns. These challenges are the subject of a new online offering from MIT. The course, Internet of Things: Roadmap to the Connected World, will be offered through MIT Professional Education beginning April 12, 2016. The course offers insights on how to survive and thrive in the new technological landscape. The course is a six-week online offering designed for busy professionals with a background in electrical engineering or computer science. It’s ideally suited for those individuals who want to leverage IoT technology to address business challenges including cybersecurity, system architecture and data management. The course will be taught by researchers with experience in the architectures and applications of IoT. 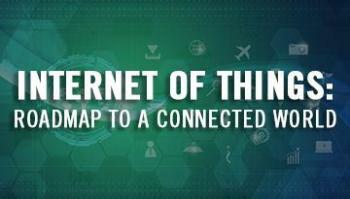 It will cover broad overviews of IoT technologies and provide detailed looks at the most recent developments. For more information or to enroll for the spring semester, visit the MIT Professional Education website.